Looking to hire a bed bug exterminator? That's a good move if you've chosen the right one. Just make sure you know what you should expect from them before you sign on the dotted line. This is part two in the series on hiring and working with a well-qualified bed bug exterminator. To go to the main page of this mini-guide click here. Here's an infographic I created to drive home the main points on this page. If you want to skip it and jump down to the body of the article, click here. 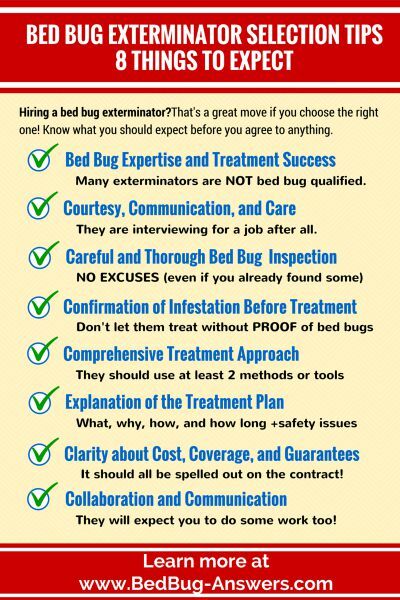 You have permission to share this infographic however you like, as long as you don't alter it, and you provide a link back to this page or the or the BedBug-Answers.com homepage. If you are going about hiring bed bug pest control specialist right way, you'll be calling a number of pest control companies in your area to find the right one. Frankly, you may have to weed quite a few out before you find a good one. Here are two basic expectations any exterminator should meet before you even entertain the prospect of letting them walk through your front door. 1. Expect any exterminator to demonstrate their bed bug expertise and treatment success. Bed bugs are different than other household pests. Treatments that are effective for many other insects just don't work when it comes to a bed bug infestation. Sadly, far too many pest control professionals are not that well-versed in bed bug extermination protocols. Part of this is because the resurgence of bed bugs in the US is a relatively new phenonmenon. The good news is that each year, more and more pest management professionals are getting the necessary training and field experience to effectively deal exterminate bed bugs. The bad news is that even some of the well-respected and established exterminating companies are not really bed bug experts. So how can you tell if an exterminator's knowledge of bed bugs is up to snuff? In short, you have to ask them. And then you need to ask follow-up questions to try to gauge their level of expertise. You can get a rundown of the the questions you should ask any bed bug exterminator you might be considering here. Once you're satisfied by their answers, you should check at least one of their references that had a bed bug infestation to verify how successful their treatments really are. 2. Expect them to be courteous, communicative, and caring. You're going to be asking a lot of questions to determine how well-qualified they are when it comes to bed bugs. As with any professional you consider hiring (especially one you'll be letting into your home), you should expect them to be courteous and caring. They should be patient, attentive, and answer all of your questions in a knowledgeable and friendly manner. If they are "too busy" to be bothered or brush off your questions as unimportant - move on to someone else. What makes you think you might have a bed bug infestation? Do you have an idea how you might have brought them home? Have you found any evidence of them? If so, what kind of evidence and where? Have you done anything to try to control the situation yourself? If so, what? Do you live in a detached single-family home or are their other adjoining units? If you rent, does your landlord know you suspect a problem? Are there any things we should consider like children, elderly people, or pets in your home? Do you have any health concerns or preferences about chemical vs non-chemical treatments? Obviously, they may not ask all of these questions. But, they should ask at least a few. A good bed bug exterminator will clearly communicate what you can expect from their initial visit and what you should and should not do before they come. Pre-inspection protocols vary widely, so there is no right or wrong answer on this one. Some will want you to strip the bed, launder and bag up clothing, and pull the furniture away from the walls. Others won't want anything touched so that bed bug harborages (hiding places) are not disturbed. The point is they should tell you how to prepare. If they don't offer instructions, ask. Then make sure you understand and follow their instructions completely. Here's the bottom line: You should feel comfortable with them and confident about their ability to handle your specific bed bug problem before you let them into your home. Found an exterminator that makes you feel comfortable and confident in their bed bug expertise? Great! You're definitely on the right track. Go ahead and make an appointment for them to come out and do an inspection. But remember, hiring them to exterminate bed bugs in your home isn't a done deal, not just yet. There are six more things you should expect from them before you agree to hire them for treatment and fork over your hard-earned cash. 1. Expect your exterminator to conduct a careful and thorough Bed Bug inspection. The first rule of bed bug pest control is to accurately diagnose the problem. That will require a careful and comprehensive inspection of your home to detect the signs of a bed bug infestation and determine the extent of the problem. If the exterminator you bring in wants to do any kind of treatment without inspecting first - show them the door right away! Seriously! Don't waste any time with them - they're simply not a bed bug pro. Even if you've already found evidence of bed bugs, they still must do an inspection to identify harborages (bed bug hideouts) and determine the severity and extent of the infestation. The inspection should be thorough and not just include your bedroom or wherever you've found bed bugs. Think about it. How else can they know which areas they need to treat? If they are done with the inspection in five minutes - they're done. Period. Send them packing and ask for a refund of any inspection fees you may have paid up front. There are no excuses for not inspecting and a good inspection will take some time and encompass all of your living quarters. 2. Expect them to confirm the presence of live bed bugs and provide you with proof. If exterminator determines you do indeed have bed bugs, expect them to show you proof. This is an ABSOLUTE MUST - no exceptions! Getting treatment without confirmed evidence of a bed bug infestation a waste of your money and there is no reason to be exposed to potentially harmful chemicals unnecessarily. Plus, it is illegal to treat without proof in a number of countries and US states, including New York. Never let anyone begin pest control treatments without showing you proof of an active bed bug infestation first. There are a number of types of evidence of bed bug activity, but not all of them prove a current problem. It is important to understand the difference. If these are the only things they find, they should not begin any treatment at this point. The next step is to set up a monitoring system to detect signs of an active presence. 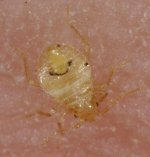 Learn more about the 9 signs of bed bug infestation and see pictures of them here. 3. Expect your bed bug professional to be comprehensive in their treatment approach. Successful bed bug extermination requires an Integrated Pest Management approach. That means using a number of methods and tools together to get the job done as efficiently as possible and in a way that poses the least risk to your health, the environment, and your bank account. Any exterminator that really knows how to address a bed bug problem with take an IPM approach. They should supplement the primary method with at least one other technique, preferably something that has residual effectiveness. The sad truth is that almost nothing can get rid of bed bugs all by itself. Even structural heat treatment is not 100% effective. If their plan only includes one tool or technique...turn them down politely and look for another, more qualified pro. If any aspect of their treatment plan includes the use of a fogger or bug bomb, don't let them do it under any circumstances! Suggesting the use of a fogger a huge red flag that they don't know what they're doing. More importantly, fogging the one thing guaranteed to make your bed bug infestation worse. Any pest control operator that even mentions this as an option should be avoided at all cost. Keep in mind that killing bed bugs is only one part of a comprehensive pest control plan. A good bed bug exterminator will have a list of things that you'll need to do to as part of the overall plan. Here's a quick break down of how an IPM plan works. They should also explain how to monitor treatment success and prevent future infestations. 4. Expect the exterminator to clearly explain their bed bug treatment plan. A good bed bug exterminator should tell you what treatment options are available and then recommend a specific plan based on your particular situation. Expect them to communicate exactly what they are planning to do and why. Preferably, they should also explain how it works and make sure you understand any special considerations. They should estimate how many treatments they think will be necessary and how far apart they will be spaced. It is not unusual to need a follow-up treatment, or two. (More than that is a red flag). They should also explain what you should expect to see happen after the initial treatment and how you can monitor the effectiveness. They should give you the names of any chemicals they are planning to use. You should ask for the MSDS (Material Safety Data Sheet) for any and all products they will use. If they don't have the MSDS handy (they should), you can search for it using the product name on the National Pesticide Information Center website. If you have any health concerns, you should consult with your doctor. Have him or her review the MSDS and explain to you the associated risks. No exterminator is qualified to tell you how "safe" a product is. That's something that can only be determined by a medical professional. 5. Expect clarification on cost, coverage, and warranties...in writing! Before you agree to treatment, your exterminator should be 100% honest and up front about the cost of treatment. They should explain exactly what is covered, how many treatments are expected, and anything else that could cost extra. And they should put it in writing. Make sure it is crystal clear whether the price in the quote covers just the initial treatment or includes follow-up treatments. If follow up treatments are included, how many? It's important to understand that total eradication of a bed bug infestation usually takes more than one treatment, but rarely more than three. (If it takes more than three, that's a sign that they're doing something wrong.) Don't accept a quote that claims only one treatment is necessary - unless they have an iron-clad warranty to back it up! If they do offer a warranty, it should specify a timeframe and the number of additional treatments that are included at no additional cost. Ideally, it will also lay out the requirements to qualify for re-treatment, as well as any circumstances or actions that could void the warranty. Make sure everything is clearly spelled out in a written service agreement before treatment begins. Don't take anything the the technician says as gospel unless it is documented on the contract! Don't let them sell you any kind of "preventative maintenance" plan. As I noted above, treatment should only occur in the presence of an active bed bug infestation. The only maintenance plan you need is to learn simple bed bug prevention techniques to limit your risk and have good monitoring protocol in place as a safeguard in case you do get exposed to them again. Honestly, if they try to sell you this type of plan, I would walk away from the deal. Either they really don't know what they're doing when it comes to bed bugs - or they're trying to rip you off! 6. expect your bed bug exterminator to expect your collaboration. If you've gotten this far, and the exterminator you've chosen has met the expectations above, congratulations! You're in a really good position to resolve your bed bug issue as quickly and effectively as possible. But, just how quickly and effectively depends a lot on you. As I mentioned earlier, killing bed bugs is only one part of an Integrated Pest Management plan. You'll still have to do your part too. A good bed bug exterminator will expect your collaboration in prep-work, monitoring, and certain non-chemical pest control methods both before and after treatment. They should clearly communicate their expectations. But, it's your responsibility to make sure your understand and follow their instructions to the letter. Keep in mind that any warranties (if offered) could be voided if you fail to comply with their requirements. Learn more about how to work with your bed bug exterminator for optimal results. Get the 10-Minute Bed Bug Crash Course for FREE! FTC Disclosure: This site contains some advertising and affiliate links. That means if you click and/or buy through those links, the merchant may pay a small commission to support this site - at no extra cost to you. To get rid of bed bugs, pest control planning is a must. It's not a one-shot deal. No worries, making a bed bug pest control action plan is easier than you think! Just follow simple these steps. The first bed bug symptoms people often notice are bites, but they're not proof that’s what you have. Learn the tell-tale signs of bed bugs and how to check for them. Let me tell you why I love bedbugger.com so much and how you can get the most out of what it has to offer. Bed Bug Fogger Alert: Don't Grab that Can Till You Read This! 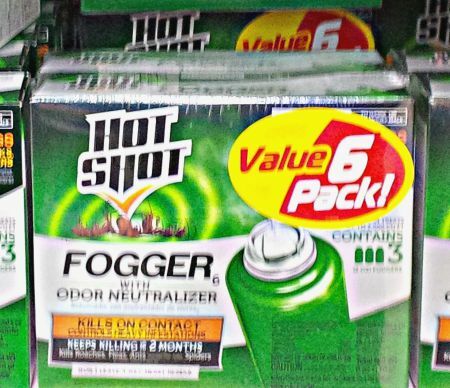 A bed bug fogger (bug bomb) seems like a quick-fix for those nasty little suckers, right? WRONG! Here are 3 reasons they don't work and 5 ways they make things worse and prolong your agony. FREE! Get the 10-Minute Bed Bug Crash Course e-book... absolutely free. Just enter your details below and I'll send the link to your inbox right now. Built Using Solo Build It!